Winter driving can be pretty treacherous, and you can never be too careful. When driving in Japan in the winter, remember to be aware of the road conditions. You might think that December is too early to think about heavy snowfalls, but while in Tokyo you might just feel the autumn leaves are still falling, it is the time in some northern parts of Honshu and Hokkaido that the snow piles up in alarming quantities. Check your equipment and gasoline! Canadians, Americans and Europeans are use to see salted roads. However most of Japan doesn’t do that. This means that If you are used to “all-weather” tires in your home country – Be careful! You may find your car unable to get up even the smallest incline on a cold, snowy day. 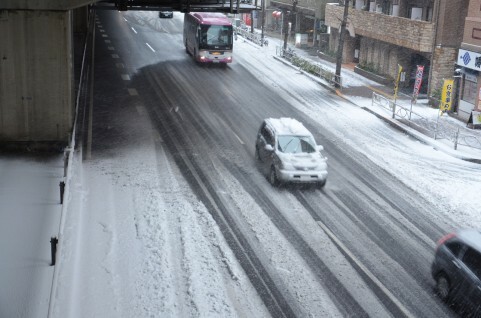 Snow tires or chains are imperative for winter driving in Japan! In Tokyo metropolitan you may get away with not needing snow tires, but we still recommend a set of chains to keep in the trunk. Especially if you’re driving to ski resorts. Check your gas tank as well, you will appreciate to be warm if you get stuck in the snow. 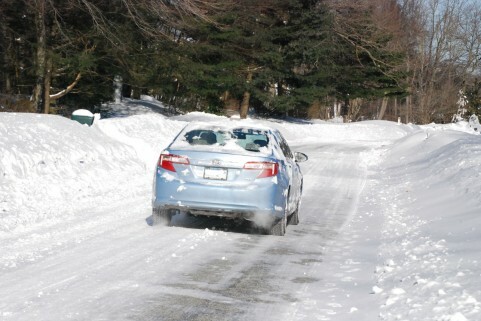 This can be as simple as keeping a small windshield ice scraper, brush and foldable shovel in the trunk as well. You’ll also notice how Japanese people will fold their wiper blades away from the glass if they know snow or freezing rain will hit. This prevents the blades from cracking and makes it easy to deice the windshield later.